Discover the story of Maine’s food scene, one plate at a time. This 3 hour walking culinary tour of Portland's historic Old Port is more than a sampling of delicious seasonal bites. 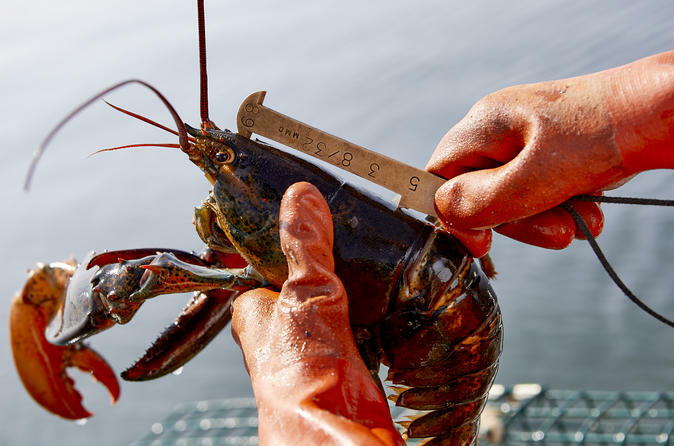 Through a series of locally sourced and harvested dishes from nationally-acclaimed restaurants, you'll learn how Maine's people, ecology, and economy interact to shape a celebrated food destination. -Make the most of your time - enjoy six tastings of locally, sustainably and responsibly sourced food at nationally-acclaimed restaurants. -Deepen your understanding of the farmers, fishermen, foragers, and chefs whose efforts fill our plates. -Have an authentic experience by discovering Maine’s advantages, challenges, and innovation in the food sector. -Meet local chefs and enjoy a behind the scenes VIP experience. -Be entertained by our knowledgeable and passionate local guides eager to satisfy your appetite and thirst for all things related to Maine. Our name represents the restaurant’s relationship with the community – the local farmers, ﬁshermen, brewers and craftsmen that create the uniquely Portland experience. EVO kitchen + bar cooks contemporary Mediterranean and Middle Eastern inspired food using local, seasonal ingredients. Solo Italiano represents truly authentic, Italian cuisine. All components are prepared by hand and are fresh from the farm and sea. Scales is a local seafood restaurant focusing on the best quality ingredients sourced locally whenever possible. East Ender is a casual, two level restaurant located on Portland’s food famous Middle Street. Piccolo is a restaurant where everything is made with the best local produce, ﬁsh, meat, and the ﬁnest imported Italian ingredients.